Potty training-two words that stress me out like no other combination of syllables. 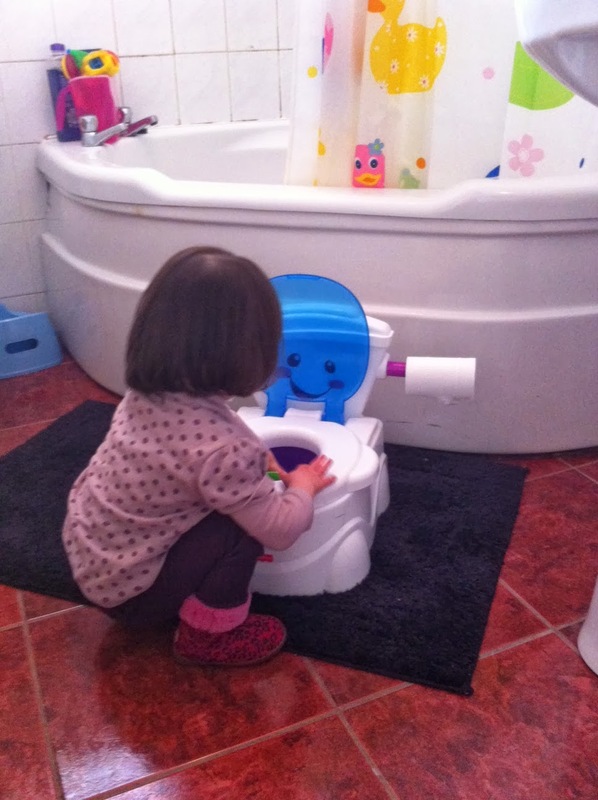 We bought a lovely bright blue (Mini picked out the colour herself) potty during the summer. Even though Mini had no words by which to communicate that she was feeling Nature’s call, she would go and crouch in the corner of the room when she was doing number twos and then come to one of us to change her. So I reckoned she was on the path to being ready. On nice days, I duly stripped her off and let her roam the garden, following her around like an eejit, ready to pounce and place her new plastic throne under her bum. Except Mini hated to sit on the potty. She screamed and screamed and screamed. Undeterred, we bought another potty. And another one. No joy. She refused to sit on any of them. So the good weather went away, and I resigned myself to having two different bums to change come November-I would have loved it if Mini was potty trained by the time Mini Mini makes her grand entrance. The Frenchman who is equally mad for his pride and joy to be “clean”-what they call potty trained in France-headed to the shops to buy one more potty. A Fisher Price one and an expensive one-it costs twice as much as all the other ones combined. It looks like a real toilet and has a place to put real toilet roll and a flusher. And it plays music. It also has a lid, just like the real thing. Mini responds really well to lids- she loves to open and close boxes and containers. 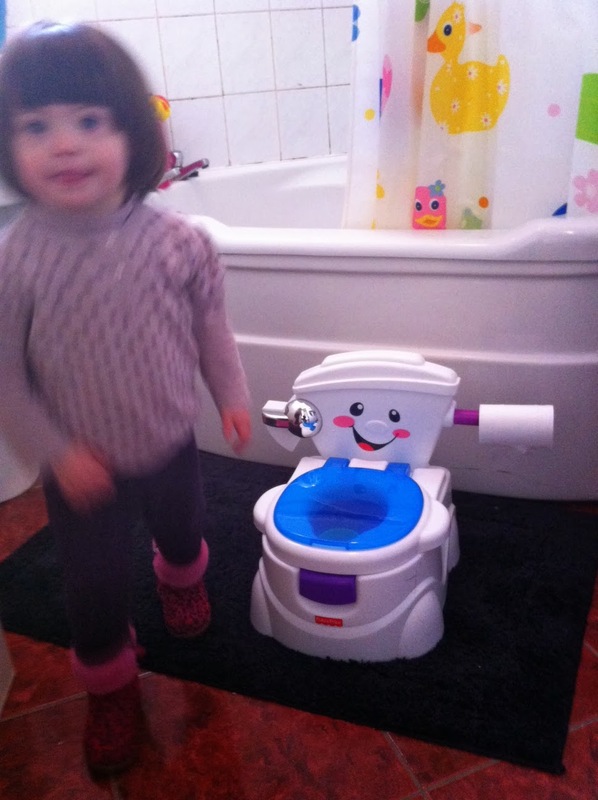 Since the arrival of this new potty, she has taken to it unlike the previous purchases. And yesterday, for the first time ever, without any prompting from either of us-she went and sat on it all by herself!! !No screaming, crying, prodding. 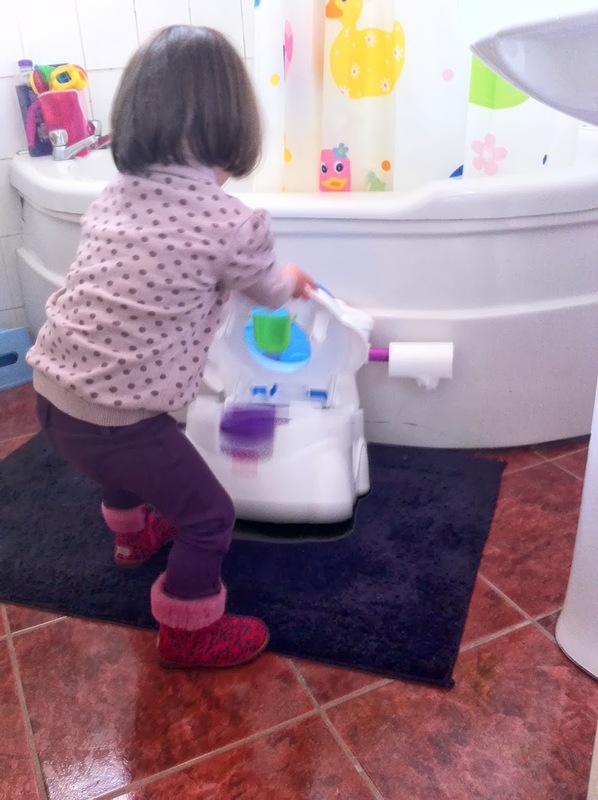 She was too quick for me to snap her on the potty but I managed to get some pics of her happily playing with it. I’m leaving it in the upstairs bathroom mostly, taking it down to the living room occasionally-I’m just taking things very slowly and letting her get used to it. She is still miles away from graduating to big girl pants but it’s a very welcome start to what I suspect will still be a very painful journey. I’m linking up with the awesome Ethan’s Escapades to help bring you tales of small steps but amazing achievements. Check out this week’s other stories here. Slowly but surely! So glad you found one she shows an interest in. What a fantastic potty. 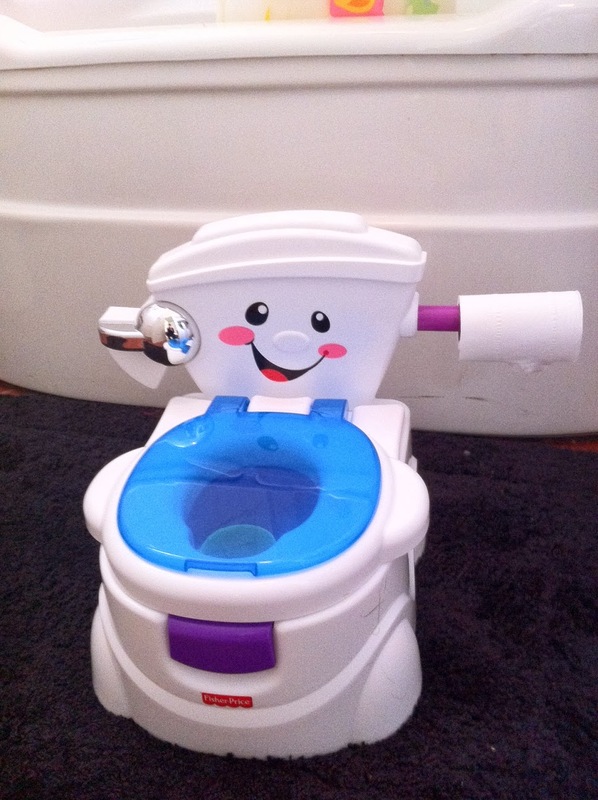 I think we may need this one as it looks so much like a toilet, and Ethan is very visual. I have no idea how we will start our journey. I wish you the very best of luck. Best wishes. My kids would have killed for that state of the art potty. I love your header picture, I'm new to your blog! Thanks for the information. Reading the experiences of other parents is very useful.